5.9 – Waggy’s economy rate in all List A games. 14 - the number of runs he conceeded when taking Glamorgan's best-ever bowling figures in T20 cricket (5/14) against Worcestershire at New Road in 2013. 29 - how many runs Waggy conceded when taking his best-ever return in Championship cricket: 6/29 against Surrey at The Oval in 2014. 83 - the number of first-class games he has played for Glamorgan. 121 - the number of wickets Waggy has taken in all T20 games. 147 - his total number of wickets in List A games. 151 – the number of First-class matches he has played. 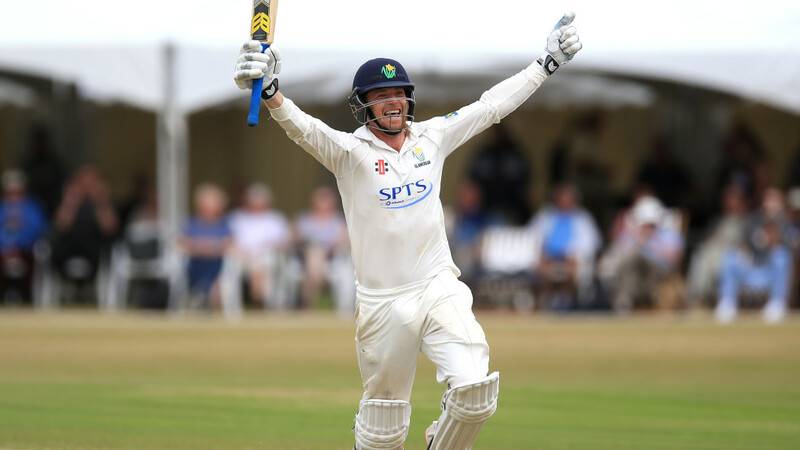 215 - the number of balls Waggy faced when scoring his maiden double-hundred for Glamorgan against Surrey at Guildford in 2015 (seen above). 5386 - his current tally of runs in all first-class cricket. 25734- the total number of balls Waggy has bowled in first class cricket.